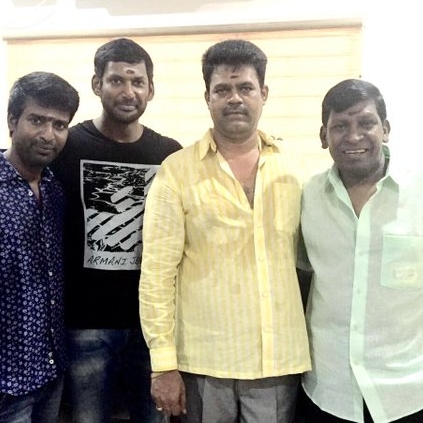 As reported earlier, director Suraj will be teaming up with Vishal for his next titled Kathi Sandai. This film has Tamannaah pairing up with Vishal for the first time. Kathi Sandai will also have Vaigai Puyal Vadivelu and also Soori. It has to be recalled that Vishal and Vadivelu are coming together after a gap of nine years when they were last seen in Tharun Gopi’s Thimiru. We wish the team the best! People looking for online information on Kathi Sandai, Vadivelu, Vishal will find this news story useful.